David J. Zeve established his own commercial real estate business in Pittsburgh, in 1985. Zeve Associates was the first firm in the city to represent tenants and buyers exclusively, and since that time, David has continued to follow the same philosophy. Nevertheless, David Zeve knows commercial real estate from other perspectives as well. In 1980, as an office leasing manager for Pittsburgh’s Oliver Realty, he was responsible for over one million square feet of space in the Greater Pittsburgh market. In 1982, the Institute of Real Estate Management named him a Certified Property Manager. That same year, he joined Louis Dreyfus Property Group in New York City as general manager of a Madison Avenue office property being considered for redevelopment. David’s responsibilities included property management, leasing, marketing and eventually terminating 200 tenants (he did so in six months) when the redevelopment was initiated. Three years later, he returned to Pittsburgh where, over the next 15 years, he completed over 1,100,000 square feet in leasing and purchase transactions, representing clients in a wide range of businesses and professions. A number of major organizations used his services exclusively, and most of his business came from existing clients or referrals. David and his family moved to New Mexico in the late 1990s, and for several years, he pursued other interests, especially in the nonprofit area, until he relocated to Newport Beach in 2002. He has been an active member of the board of directors of seven community organizations in Pittsburgh, Albuquerque and Newport Beach. In August, 2007, David re-started his own firm to provide the high level of service and expertise to his client’s that helped his business become known as the leading tenant and buyer representation company in Pittsburgh. 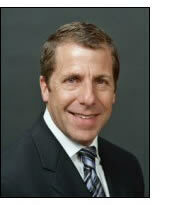 David has achieved the designation of EcoBroker, and is a member of Provisor's Newport Beach chapter. With a significant interest in adventure and fitness, David has been a certified indoor cycle instructor for more than five years, and leads one of the countries only indoor cycle classes... outside! He leads hiking adventures and has been to the top of continental United States after ascending Mt. Whitney. David is a graduate of Ithaca College with a degree in Sociology. He, and two of his four children, along with his two dogs, live in Newport Beach.